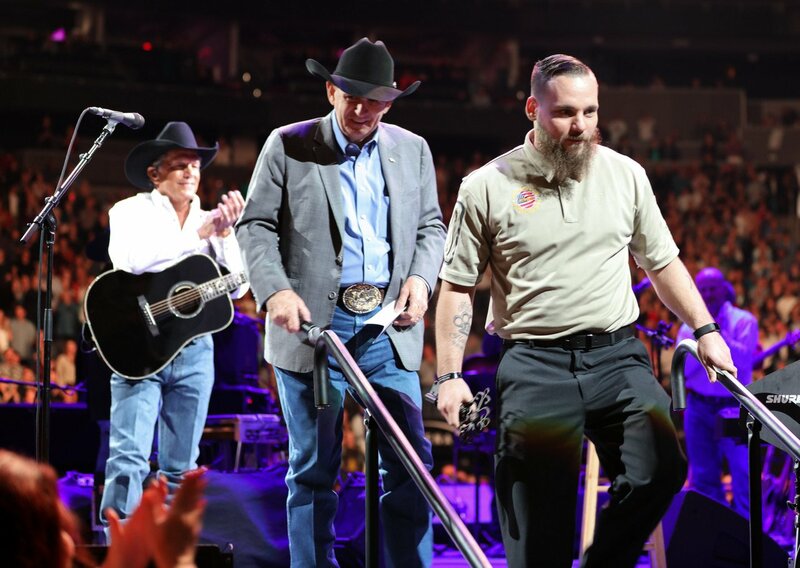 An incredible event took place for two of our nation’s combat wounded heroes, when they joined George Strait on his stage at the T-Mobile Arena in Las Vegas, NV. 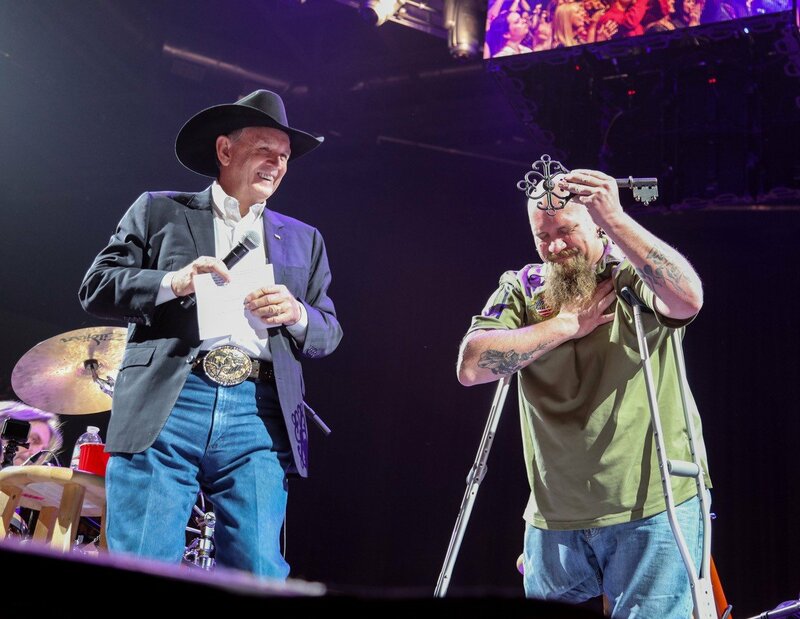 Our CEO, Retired Lt General Leroy Sisco was there to present these two heroes with the key to their mortgage-free homes, generously donated by Wells Fargo to the Military Warriors Support Foundation through our Homes4WoundedHeroes program. 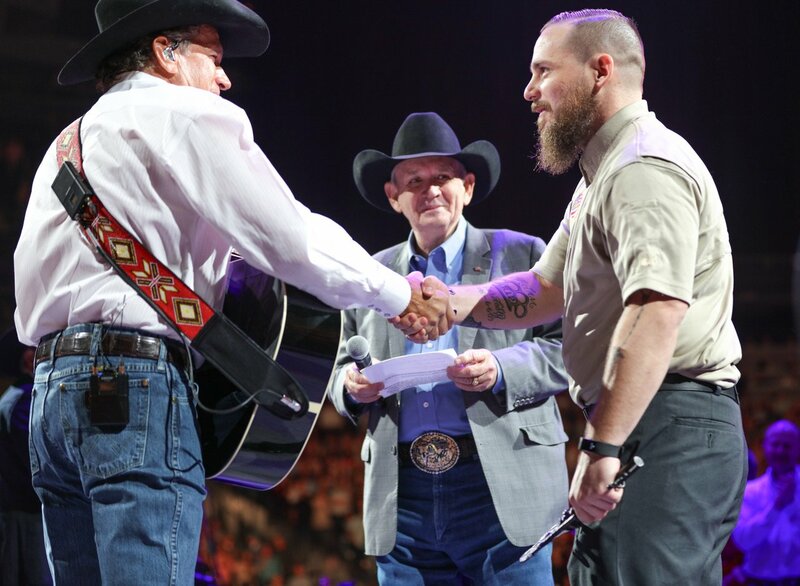 On February 2, we honored Wounded Hero Christopher Hardesty for his service and sacrifice to this country. 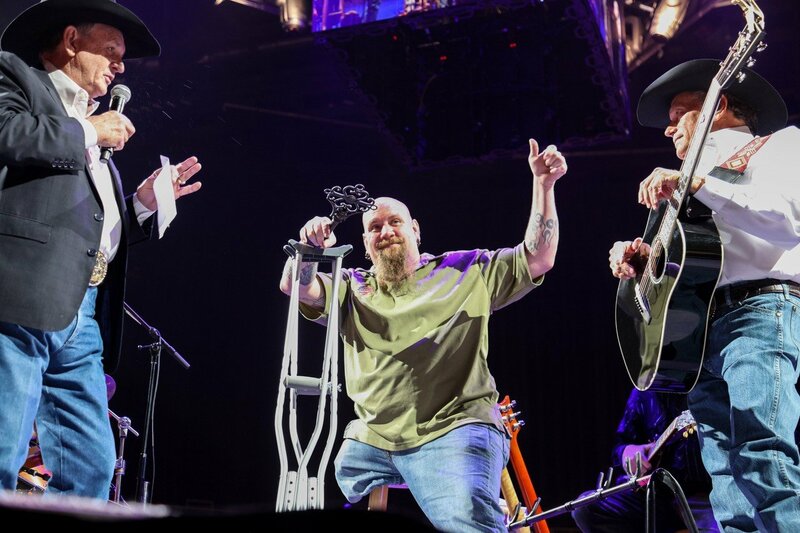 He served our great nation as a 19D or Cavalry Scout, He was wounded in combat while supporting combat operations and is the recipient of the Purple Heart. 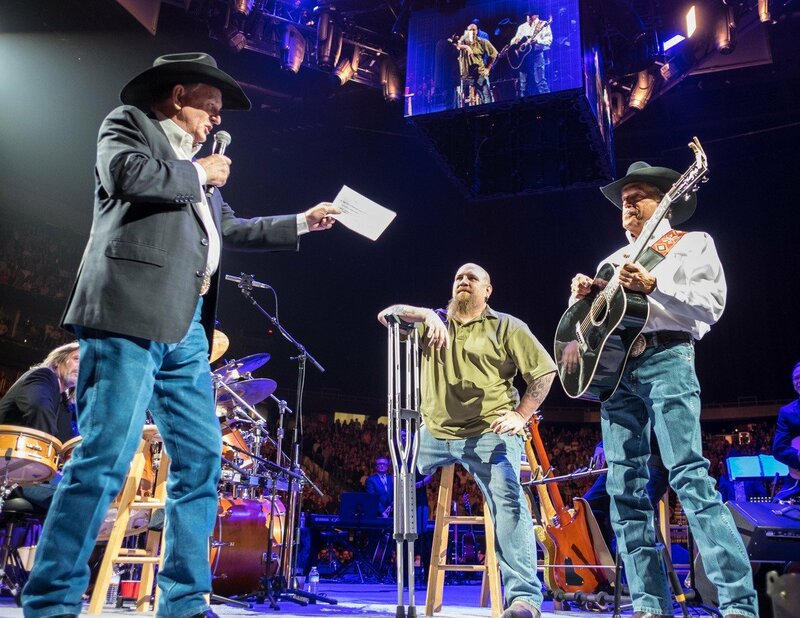 We are proud to join George Strait and Wells Fargo in welcoming him home to Colorado. 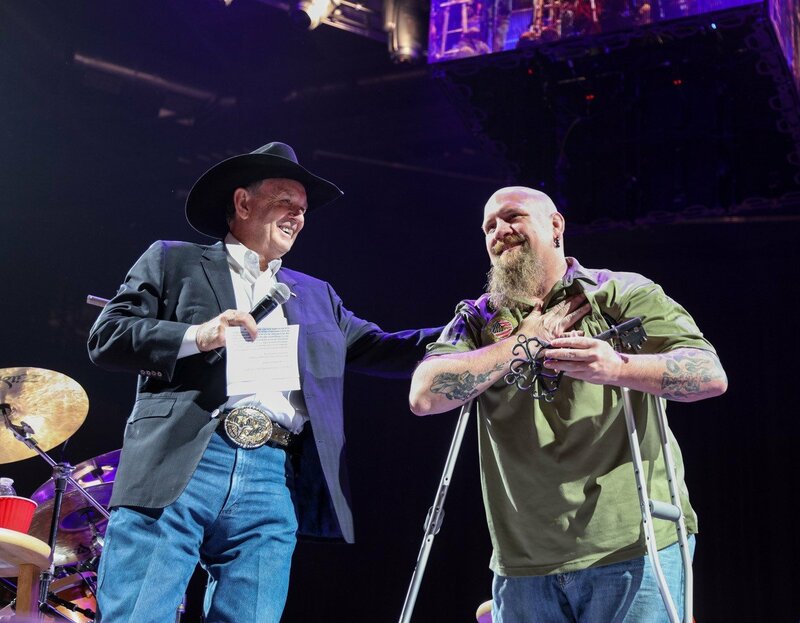 On February 3, we honored Wounded Hero Andrew Butterworth for his service and sacrifice to this country. 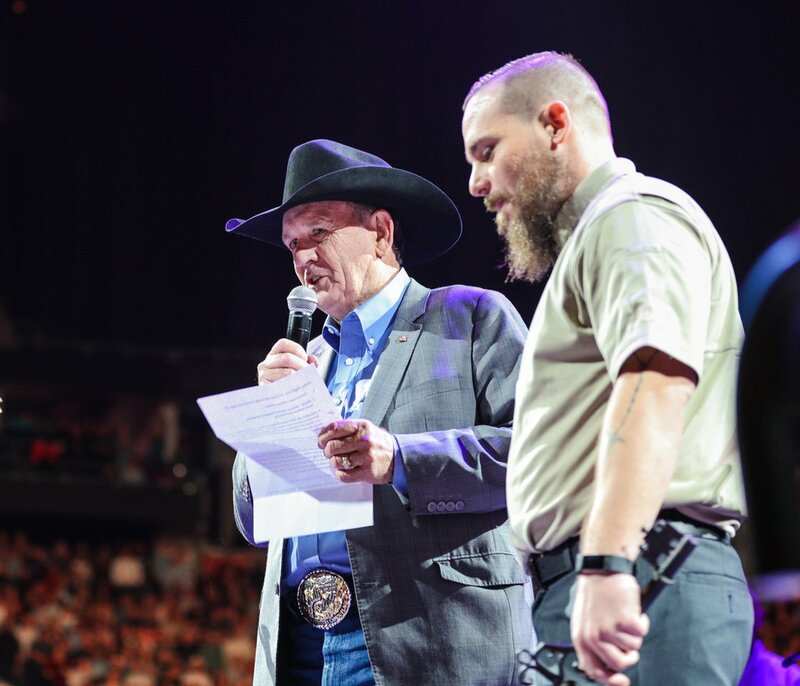 He served our nation as 11B or Infantryman, he was wounded in combat while supporting combat operations and is the recipient of the Purple Heart. 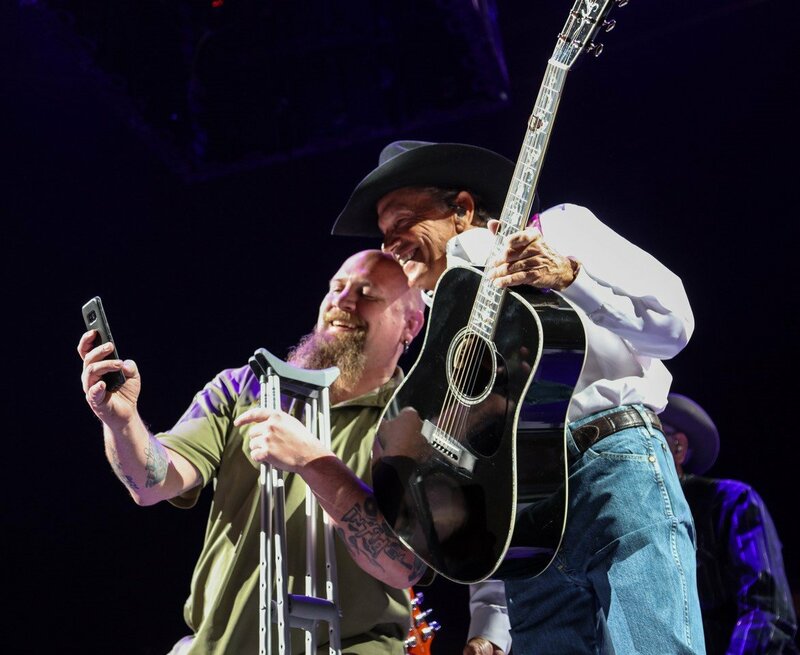 Additionally, he received the Army Commendation Medal with ‘V’ Device for Valor in supporting ground combat operations against enemy forces. 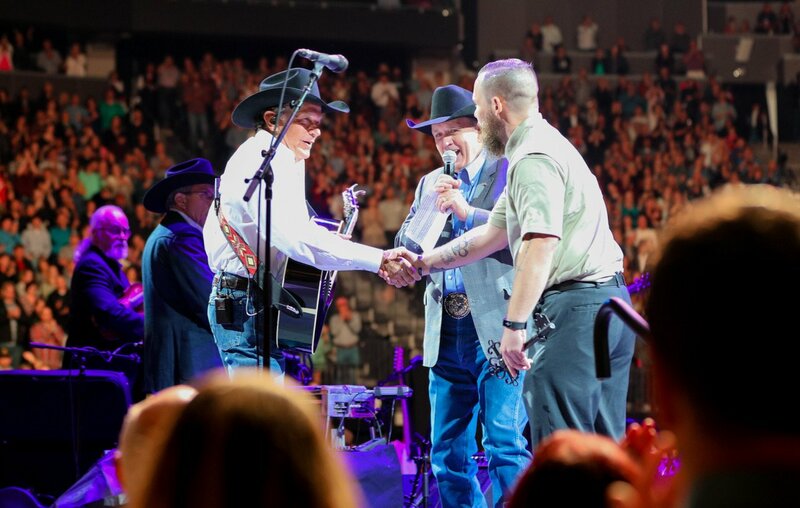 We are proud to join George Strait and Wells Fargo in welcoming him home to Missouri.